In today’s busy world it can be tough to keep up with a garden. Those with hectic family and work lives may find it difficult to grow even a small vegetable patch. While you can’t have a garden without any work at all these tips can help you spend your time and money efficiently. If you only have an hour per week to dedicate to your garden try to break it up over the week. Spending a few minutes each day keeping up with weeds while they’re small and harvesting what’s ready each day is more effective than a larger chunk of time one day per week. Tending to your garden throughout the week also allows you to monitor and stay on top of any pest and disease issues. If you’re really pressed for time but still want to grow some of your own food consider crops that are low maintanence. For example green beans are easy to grow but require you to harvest nearly every day during their season. If you don’t have the time you could instead use the space to plant dry beans, flour corn, or winter squash which only require a one time harvest. Try different methods of preservation and find one that works best for you. Don’t feel like breaking out the pressure canner? Try pickling, fermenting, dehydrating, or freezing a crop. Alternatively wholesale planters small successions of crops so you never have more than you can use fresh or things that can be stored without preserving like winter squash, garlic, onions, and potatoes. Spending time mulching your garden at the beginning of the season can save you from spending as much time weeding later. 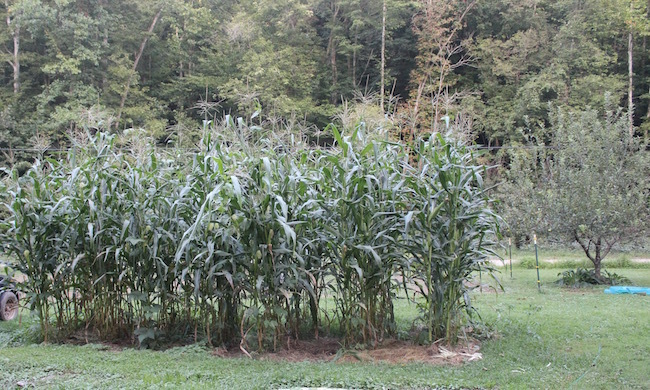 You can also try cover crops for preventing weeds. You should also trellis crops that need it at the begginning of the year. Having better and easier harvests is worth the effort upfront. Plant perennials. Hardy perennials like chives, mint, walking onions, rhubarb, and aspargus provide food year after year with little effort. Invest in a few quality pieces of time saving equipment. Your tool shed doesn’t need to look like you’re a market gardener but you should have a few good tools to help you make the most of your time. I’ve found that a push seeder and stirrup hoe or wheel hoe (depending on your garden size) are worth the money for the amount of time they save. Another piece you may consider investing in is drip irrigation especially if you pay for or have limited water. 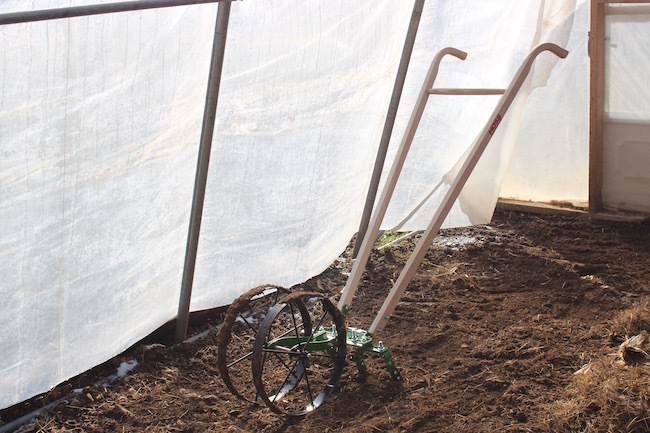 It requires time and money during the beginning of season to get it set up but then makes watering a breeze. It also saves water. Buying good quality seeds or starts is also important. You should look for seeds and plants that are well suited to your needs and climate. If you’re growing your own starts doing it properly to ensure you get healthy starts is of course worth the time and money. Check out our seed starting guide for advice. Finally to save both time and money consider sharing your garden with a friend or neighbor. As the saying goes, many hands make light work!